a lift ticket is not one! employees at the Blue Knob All Seasons Resort. BKSP consists of both volunteer and paid patrollers. 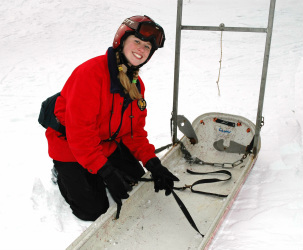 All volunteer Patrollers are recognized through the National Ski Patrol. NSP is an organization that serves the public and outdoor recreation industry by providing education and credentialing for emergency care and safety service providers. To become an Alpine Ski or Boarder Patroller for Blue Knob, you will need to complete three areas of training. To join, an on-line application must be completed and will then be reviewed. Once accepted and offered a candidate position you can register with the National Office, which will include paying current dues ($110), and you will be able to begin your training. There are two ways to meet the emergency medical training requirements. The first is through the Outdoor Emergency Care - Technician (OEC-T) course and certification. 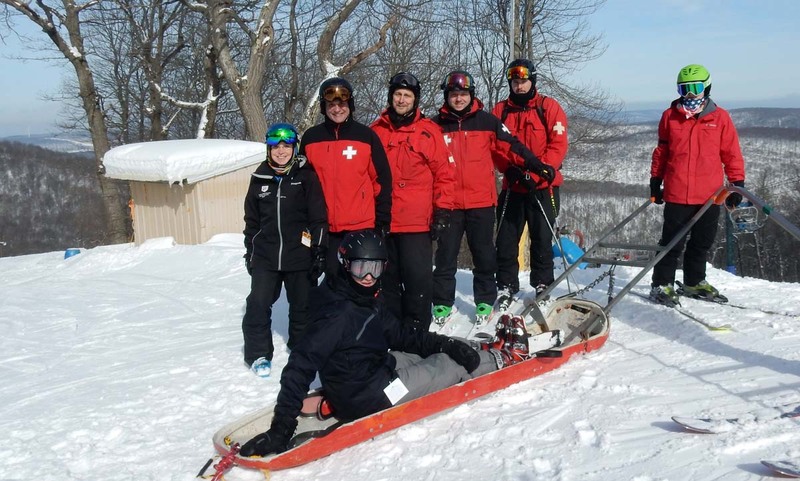 This is a National Ski Patrol course and is offered at Blue Knob and other resorts in the PA, MD, VA and WV area. After receiving your OEC-T certification you will be considered a "basic patroller". The second route is to take an Emergency Medical Technician (EMT) course from your state-authorizing agency. These are offered multiple times during the year at various locations. 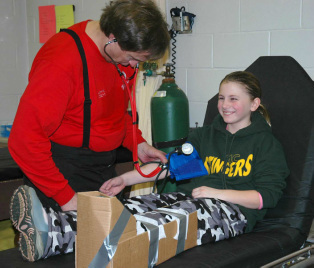 PA EMT courses in the Blue Knob area can be found at www.saems.com . After receiving your EMT certification, you will take the OEC-T written and practical ‘challenge’ for your OEC-T certification. Active Medical Professionals may challenge the OEC Tests. Requirements for the challenge are to pass both the written and practical tests, cost is $60.00. Interested parties should email our Assistant Volunteer Patrol Leader Elizabeth Hermann. S&T training occurs once the Resort is open for the season, usually during January and February. Training is offered eight hours every weekend through these months until the skiing/toboggan test is scheduled. Attendance requirements for this training must be met for an individual to be permitted to “test out”. All Candidates and Basic Patrollers will be informed of the schedule and requirements prior to the first training session. On-Line and at Blue Knob training. See listing below. For any specific information that may not have been answered here please contact the appropriate recruiting officer or fill out the interest link below. Someone will follow up.